When you’re starting to feel like your home is getting cluttered and the mess is getting out of hand, where can you turn to in Abbey Wood? 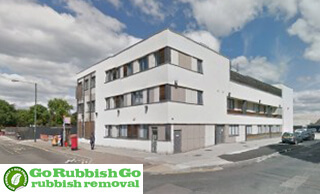 Well if you want a quick and easy SE2 house clearance that takes care of your unwanted items quickly and efficiently, then Go Rubbish Go is the only place to go. We have been proving Abbey Wood house clearance support to the local home owners and landlords in the local area for many years; helping with the removal of old, unwanted furniture, as well as general junk. With our help you can free your home of the clutter, just get in touch today on 020 8610 9182 and we’ll be happy to help with your house clear-out. Is there anything more important than saving money in this day and age, with prices of all of the essentials going up every day, we understand that many people now have less to spend on additional expenses such as a SE2 house clearance. So what are your options when you need to hire a specialist team? Do you keep putting it off until you eventually have the money or just decide it’s not worth it and never get it done? Personally we’d recommend neither of those and instead hire the affordable house clearance in Abbey Wood. Take advantage of our special offers, discounts and flexible booking times and enjoy the service you deserve at prices that won’t be beaten. What Makes Us Stand Out from Other House Clearance Companies in Abbey Wood? There are a lot of things to think about when considering which company to hire. Firstly you’ll want to think about the practicalities such as SE2 house clearance cost and availability, but just as importantly you need to know that the team you choose is up to the job and will do it well and efficiently. 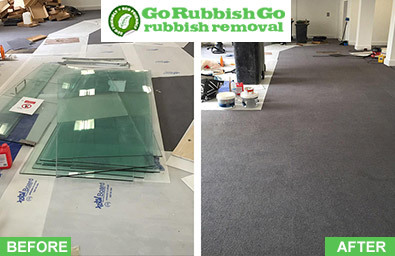 At Go Rubbish Go we believe we can give you peace of mind with regards to all of these issues. Not only do we offer the best value house clearance in Abbey Wood, we also have the most flexible appointments, and we offer a level of service that is unrivalled by any other company, and that’s what makes us the best in London. If you are looking for a SE2 house clearance team that can help you be rid of your unwanted junk as soon as possible, we are the team you need. Not only do we offer a fantastic level of service to every one of our customers, we can also offer appointments that fit your needs and schedule, even if that means coming the same day. We are proud to offer many of our customers a same-day house clearance Abbey Wood, so as soon as your decide you are ready to live a life without household rubbish, we can be there to make it happen. 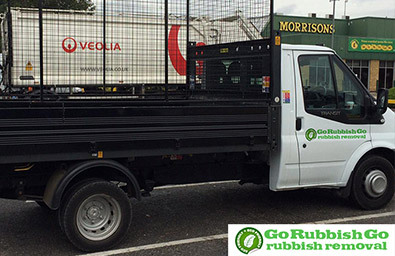 Get in touch with us today on 020 8610 9182 and start your junk-free life today. We understand that the main reason people end up needing a professional SE2 house clearance team is because dealing with unwanted waste or furniture is quite simply a pain. Not only do you have to sort it all out and pack it up for transportation, you also have to actually move it somewhere, and that’s often much harder than it should be. The places you can take your waste after an Abbey Wood house clearance often aren’t open when you need them to be. But with our professional support, all that can be a thing of the past, we’ll do your SE2 house clearance so quickly you’ll wonder what happened, and better yet, you won’t have to do a thing. When it comes to house clearance SE2, finding the right team to help you is essential. Ideally you want support from a team who are professional, reliable, knowledgeable and efficient. But where can you find such a team, you may ask yourself, and that’s where we come in. Our team are specially trained in the art of house clearance Abbey Wood, and can offer you the support you deserve at the time you need it. When it comes to house clear-outs we know what we are doing, which means you can leave all of the heavy lifting and planning to us. Call us any time on 020 8610 9182 to see how we can help you declutter your house. Located in South East London, Abbey Wood is shared between the London boroughs of Greenwich and Bexley. One of the most popular attractions in the area is actually the local train station Abbey Wood railway station which opened in 1849 and remains steeped in history. Other local attractions include the local nature reserve Lesnes Abbey Wood, within which there is an area of special interest, due to a large fossil of historical importance. Abbey Wood is also famous for being home to a number of notable residents including snooker champion Steve Davis, and Olympic runner Jennifer Stoute. The local transport links in the area include rail service into central London, and a number of bus routes to the surrounding areas, making it an ideal place for commuters and tourists.